The proposal by City of Córdoba and Córdoba Province (Argentina) to hold the next World Forum on Local Economic Development was approved by the International Executive Committee of the World Forum for Local Economic Development, which met on 18 May in Seville. Participants included United Cities and Local Governments (UCLG), the International Labour Organisation (ILO), UNDP (United Nations Development Programme), FAMSI (Andalusian Municipalities Fund for International Solidarity), the city of Turin, Cape Verde, ORU FOGAR and Sebrae. The date of the next international forum will be confirmed in the coming weeks. "We want to share challenges and opportunities of global and local economic development. Our country is part of the G20 but almost 30% of its population is considered to bepoor. The global challenge is "to leave no one behind" - it is faced by all actors in my city, which stands out for its leading industrial and academic sector in the Latin American region", said Ramón Mestre, Mayor of Córdoba (Argentina). The World Forum on Local Economic Development, according to Ramón Mestre, is an opportunity to put our territory in context and to reflect on such important issues as the future of work or cooperation between cities and their key actors. It should be remembered that the mayor of Córdoba is the interim president of the Mercociudades network and the Economic Development Agency of Córdoba (ADEC), as well as being a reference in the region for his economic strategies and for having coordinated several international reflections on local economic development in regional forums. The proposal of the City of Córdoba together with the Province of Córdoba (Argentina) indicates that this forum is gaining strength, and there is a continuous and visible commitment from the host cities and countries where the past editions were held in continung to support the forum by sharing experiences and practices. So much so that proposals were announced for various regional forums. This growing interest raises new challenges. For this reason, the city of Córdoba and the ADEC agency propose to strengthen the executive technical capacity for the fifth Local Economic Development Forum. It will result in a broader mobilization of actors, but also in the preparation of knowledge in run-up to and follow-up of the forum and impact strategies at the local, national and international levels as a better articulation of the regional forums. 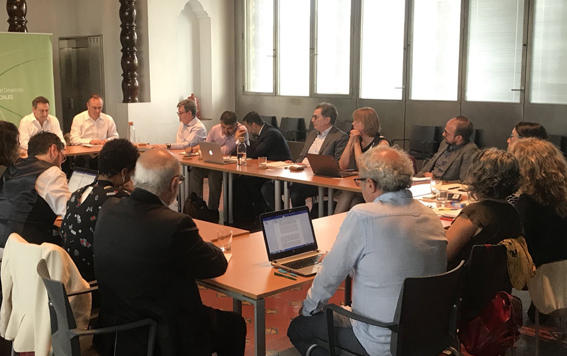 On 16 and 17 May 2018, the International Executive Committee met following a reflection and evaluation of the processes of the World Forum for Local Economic Development, convened by the Andalusian Municipalities Fund for International Solidarity (FAMSI), together with the city of Seville and the Seville Provincial Council. 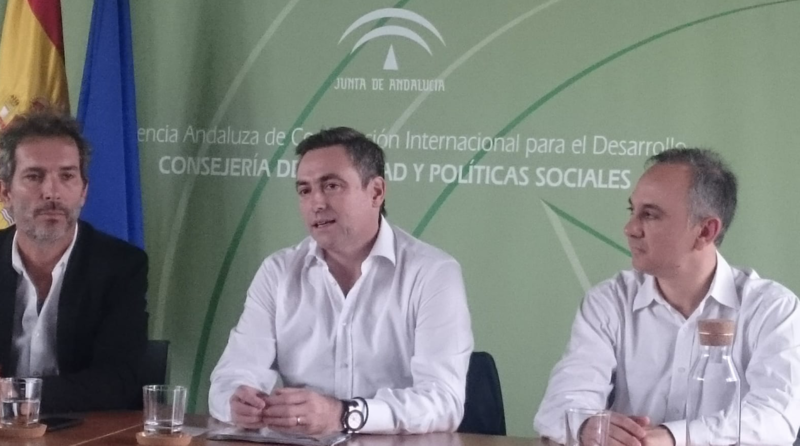 In addition to the institutions organizing the forum, leading academics and politicians from Andalusia were included, and the contents, impact, actors and methodologies of the forum were reviewed on May 16. 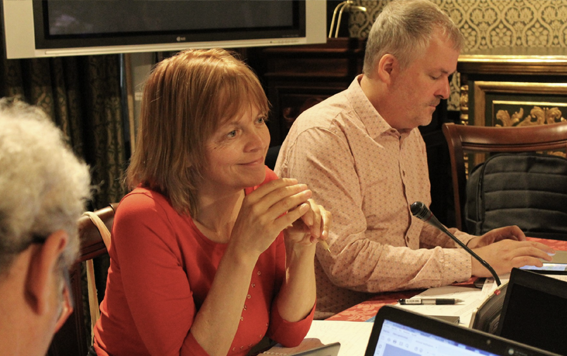 On May 17, dialogues were held, moderated in a very proactive way by the Deputy Mayor of Seville, Carmen Castreño and the Deputy Mayor of Cádiz, David Navarro. These dialogues highlighted the challenges of equipping the forum with a concept appropriate to changes in the global economy and employment, which presents challenges such as urbanization versus ruralization of territories or the financing of public services. Paco Toajas, Mayor of Las Cabezas and President of the UCLG Local Economic and Social Development Committee., recalled that the support of the measurement and monitoring of what we would call localization is not yet on the national agendas and is an imminent task to be taken up again in the associations. "To face global challenges, the reality of the territories requires in political terms an increase in competences in line with the expectations of local governments," said Paco Toajas, Mayor of Las Cabezas and President of the UCLG Local Economic and Social Development Committee. In the second debate on cooperation, academics stressed that the essence of LED is the dialogues that add recognition and require openness to change, even if there are differences. The cooperation of the academy aims to strengthen these processes. Sara Hoeflich, Director of UCLG's learning area, highlighted that training between cities and their stakeholders provides multiple opportunities for the territories. In addition to strengthening the different LED instruments, such as agencies and dialogues, and also concrete policies such as public markets or incentives for entrepreneurship, a system of cities and learning is promoted which can be consolidated by cooperation projects. Networks are becoming more and more flexible, but we still have the challenge of the systematic management of local knowledge among all actors and networks. Finally, lessons learned were shared by the organizers of previous forums at the global level, such as the city of Seville, CNM Brasil (Iguazú forum), the city of Turin and Cape Verde, and at the regional level, UNDP Ecuador (Quito forum) and the government of Bolivia (Tiquipaya forum). It was stressed that LED is a transformative axis, but a strong campaign is needed to be seen at a global level and that local actors, especially local governments, consider the territory as a whole, as multi-level, competitive and cohesive. During lively discussions, it was concluded that diversity of voices is a source of wealth, and the forum is, above all, a collective learning process. Read the news about 4th World Forum on Local Economic Development edition.